This July when you are outside barbecuing, hiking in the great outdoors or lounging in the backyard make sure to remember to protect yourself from UV rays. UVA and UVB rays are a part of everyday life. You’ve likely heard of UV rays, and may have bought sunscreen and sunglasses to block them out. In fact, up to one-fifth of cataracts are caused by UV rays. But do you know just what they are? 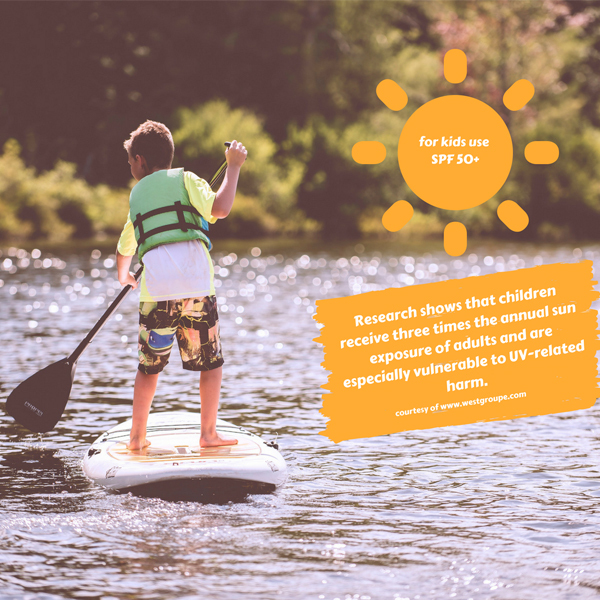 July is UV Safety Month, so now is the time to get up to speed and to help your patients understand the dangers associated with these rays. Ultraviolet (UV) rays are produced by the sun and by some artificial sources like black lights and tanning beds. There is one type of electromagnetic radiation along a spectrum that includes radio waves, x-rays, and visible light. Overexposure causes suntans, sunburns, skin cancer, and are a contributing factor in the development of cataracts. Find out ways to protect yourself. UVA: These rays cause wrinkles and are thought to contribute to skin cancer. Tanning beds emit large doses of UVA rays. UVB: These are the rays that cause the most damage to your skin’s DNA and are the main cause of most skin cancers. UVC: These are effectively filtered out by the ozone layer and are a non-issue. Since UV rays have a massive impact on the development of cataracts, it is important to protect your eyes. Sunglasses are the perfect accessory: fashion and protection for your eyes! Wearing sunglasses can greatly reduce or eliminate the amount of UV rays that harmenter your eyes, as long as you pick proper sunglasses. Ensure the lenses block 99% to 100% of UVA and UVB rays. If possible, pick sunglasses that fit close to your eyes or even wraparound to block the UV rays that attack your eyes from the sides. Designer sunglasses offer great UV protection while looking stylish. In fact, all FYSH sunwear blocks 400% of UV rays! Throughout your life, wearing sunscreen and proper eyewear is incredibly important to your overall health. While sunscreen should be the first thing you pack when planning a day outside, it is easily forgotten when gardening, running errands, or walking the dog. Keep a bottle by the door to ensure you never forget to include it in your routine as you leave the house: shoes, keys, water, and sunscreen. Even if you are wearing full coverage clothing, sunscreen on the face and around the eyes can protect you from developing cataracts. When buying sunscreen, ensure that the brand is reputable and the manufacture date is recent (sunscreen becomes less effective over time). We also suggest choosing a cream rather than a spray, as the mist can get in your eyes and over-spraying creates a great deal of waste. Hats are a necessity to any fun time in the sun! Some hats are little more than a fashion accessory, so chose wisely. Wide-brimmed hats are not only high fashion – they also provide wonderful UV protection! A 3-inch brim to protect the face and ears when the sun is high in the sky. A 4-inch brim can protect you from the sun’s rays at lower angles in the morning and in the evening. Materials that offer UPF 50 or higher block 98% of the damaging UVA and UVB rays. Dark colors absorb more sunlight, allowing fewer UV rays to bounce off your hat and into your eyes.